Bucks County Currier Times reported the Ambulatory Surgery Center at St. Mary’s was infected with ransomware on June 1, 2016. Luckily, the center had adequate backup records and were able to fix their systems within the same day of infection. However, the facility had to report to 13,000 patients that there was a breach in their data. Although the goal of ransomware is not to sell the data obtained, the Ambulatory Surgery Center is offering a free year of credit monitoring to those impacted. 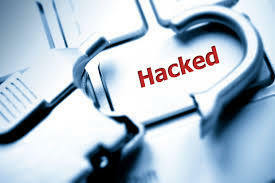 Whether or not the hackers will do anything with the data they obtained is unknown. Since the hackers’ attempt to disable to facility’s systems were unsuccessful, they could very well end up selling the information on the dark web. Unfortunately, these attacks are becoming more prevalent, as recent reports exposed a Colorado clinic was also infected. To find a full listing to ransomware attacks in 2016 click here. Ransomware, Ransomware Reports, RansomwareWar ransomware, surgery center. permalink. Yes as Peter Owens says, unless you can provide some proof that this ransomware actually transferred the data to the crims (highly unlikely), I would assume that it did the usual thing of merely encrypting the data in situ. But thanks for give the crims more ideas that they can use to leverage payment from future victims. I imagine that if the “data” had been encrypted initially the hackers would have nothing to sell. Why is this not mentioned, seems rather obvious to me?